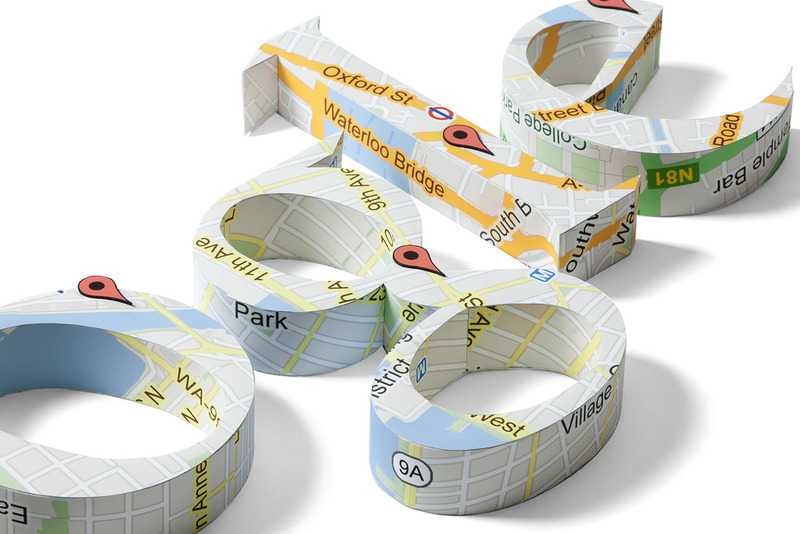 ... so imagine how excited we were when we discovered Google Maps ogling our map letters! It all happened earlier this year over on hatch.co, one of the other online locations where Little White Dog can be found. Hatch is a rather nifty place where you can get something made exactly the way you want. It's all about collaboration & discussion between makers and customers. 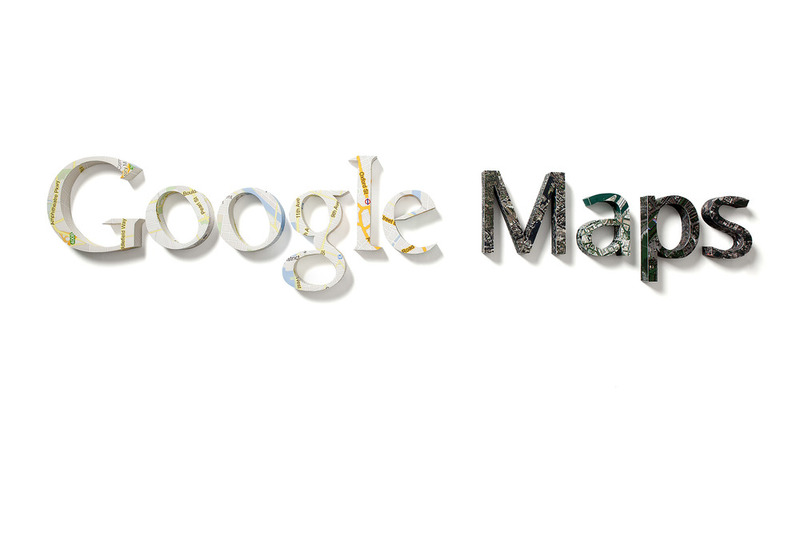 Google Maps asked us to make the words 'Google Maps' in their particular font. The tallest letters are 30cm high and the whole sign is just over 2 metres in length. 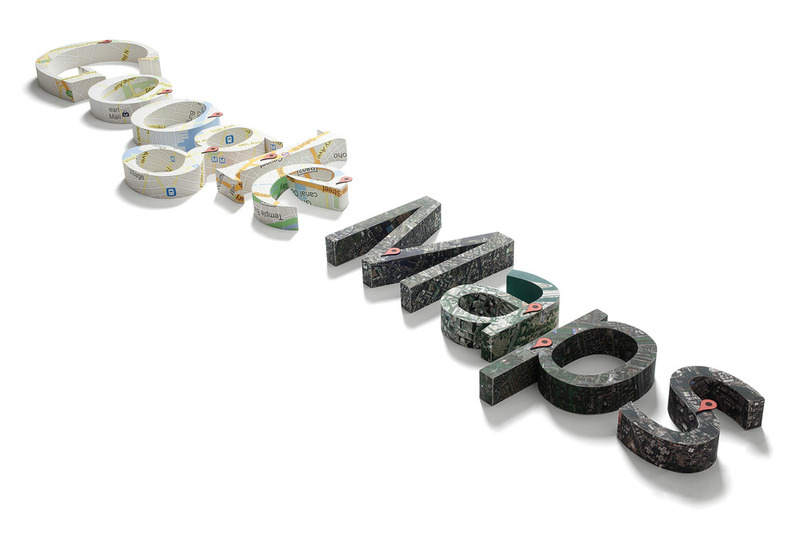 Each letter is made from a different map or satellite image showing the location of a Google office around the world. Click here to read the whole story, including some photos and video of the letters in progress. I received a wonderful present back in January but I've been so busy that I barely even had time to play with the box, let alone the thing itself! I don't really consider myself much of a draw-er (or a drawer!) in the sense that I'd rarely sit down to do some observational sketching to create a picture, but I do have notebooks where I scribble half baked ideas for designing & making things. I've been very curious about drawing tablets for a long time now and lucky for me a beautifully gift wrapped Wacom Bamboo drawing tablet arrived on my birthday thanks to my lovely husband, Gareth. It's like a giant, pressure sensitive touchpad that you can use with a special stylus or with your finger. The stylus takes a bit of getting used to because you're drawing with your hand but looking at the computer screen instead of the drawing surface. When I discovered an animation app I thought that drawing almost the same thing over and over, frame by frame, would be good practice and increase my accuracy. I decided to do something with the Little White Dog logo (since that was one of my own scribblings in the first place) and then I added some music in iMovie. You can click here to see my 16 second video. Watch this space for more scribblings to come! In our house, back in the very early 1980s, we danced around the living room to the likes of The Birdie Song on the record player. We also had a record that I was utterly convinced was called My Mummy Was Born In A Mini because that's what my older brothers and sister and I used to sing! I was more than a bit disappointed to discover what it was actually called. Here are The Children of Tansley School singing My Mummy is One in a Million which reached the lofty height of Number 27 in the UK charts in March 1981. I'll leave it up to you to decide which version of the lyrics you prefer. Need a cure for the January blues? How about a little bottle of something that will cheer you right up, has no calories and won't give you a hangover? The thing is, I think I've invented the best job in the whole world ever. I spend my days taking people's love messages, typing them on ribbons, putting them in little bottles and sending them around the world. It's impossible to feel unhappy doing this. In the past few days I've typed messages of love, hope and happiness, a marriage proposal, a message from a wife telling her husband he's going to be a daddy, and several slightly cryptic ones that I can only guess the meaning of. What impresses me most is people's ability to say all that needs to be said in just a few words. I give a forty word limit because that's roughly the amount of ribbon that will fit comfortably in a bottle. Some people use slightly more than forty words (that's ok... as long as all forty words aren't "Supercalifragilisticexpialidocious"!) and others sum it all up in as few as three. I'm often asked "What do people write???" (the inquisitors do the extra question marks with emphasis and wiggly eyebrows). The truth is, I concentrate on the messages while I'm typing them to make sure I get them right and then I pack them up and forget them. By the time I get to the post office I can usually recollect the general sentiments but not the exact words. They're not mine to remember or to share so I don't do either.